← How to specify margins when using PDFprint for printing? Question: PDF can not be modified, but I need post some information from it. Who can share a best way to edit a scanned PDF document? If there is some free online editor that would be much better? Is there such one on VeryPDF? Answer: When you need to edit scanned PDF just for posting information free online, maybe you can have a free trail of this software: VeryPDF Free Online Document Annotator, by which you can post some information on scanned PDF file. Even if you need to post some information on scanned image file, this software also can help you make it. But this software is cloud based API, it can not help you edit scanned PDF in complicated manner. Please check more information of this software on homepage, in the following part, I will show you what kind information you could post by this API. The following snapshot is from the API annotator tab, please have a check. When edit scanned PDF, highlight option can not be used. As in scanned PDF or image file, text can not be chosen. Meanwhile strikeout option can not be used too. For posting information, you can make it in manner of adding comment like by point comment, Area comment and text comment. For posting information, you can draw something by this API. Click button Draw then you can draw lines, circles and write some hand writing style information. Meanwhile by this function, you can make some hand writing style signature. 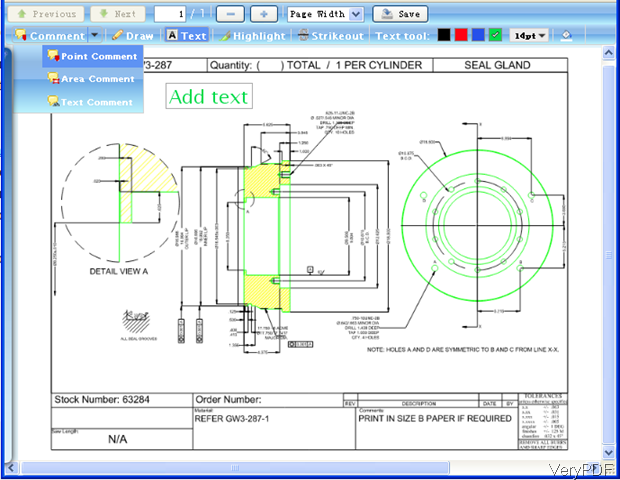 Click Text button then you can post information directly typing on the scanned PDF file. When adding text information, you can control text font size, color and others. Click icon of paint at the end of toolbar, you can paint any area on the scanned PDF file. This API allows you to edit scanned PDF no matter landscape or portrait. As there are two direction scroll bars which allow you to scroll PDF in any direction then post some information. Now this API is totally free, there is no limitation. Simply upload file and then you can use it free without any watermark. When you finish editing scanned PDF, please click button Save to save it as a new PDF. By saving, you can also change local PDF file to online PDF file documents. There will be an URL in a new tab produced. By which you can send it to anyone without transferring PDF . 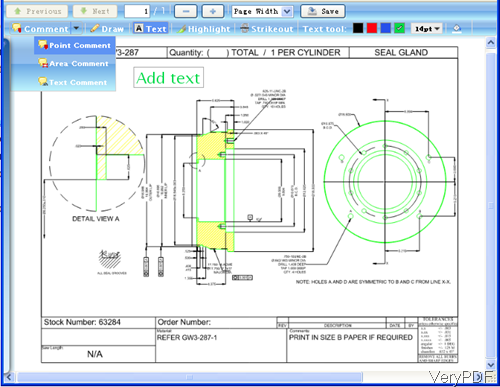 When you need to use this software, please go to website of Free Online Document Annotator. During the using, if you have any question, please contact us as soon as possible. PDFPrint Command Line paper tray issue. Why PDFPrint Command Line failed to switch the paper tray on Windows Server 2012 R2 (x64) system? How can I split and merge PDF files from VB.NET program language? How to set the page height while converting wmf to pdf? Which cloud service can be used for storing files of max size 5 MB? This entry was posted in VeryPDF Cloud API and tagged edit scanned PDF. Bookmark the permalink.